i have come to enjoy this show a whole lot, i like really like Jane the most and even medal face he is funny. What to say about Doom Patrol? Candidly I couldn't get into it. For me it's extroverted, almost exhibitionist "weirdness" felt overcooked. Worse still I couldn't see much in the way of an actual story to balance things out. Indeed, I get the impression its trying to sell the oddball main characters as the story, with long winded, rather boring, flash backs in the first episode. So far disappointing. May watch an episode or two more but I have my reservations about this one. As it stands 4/10. 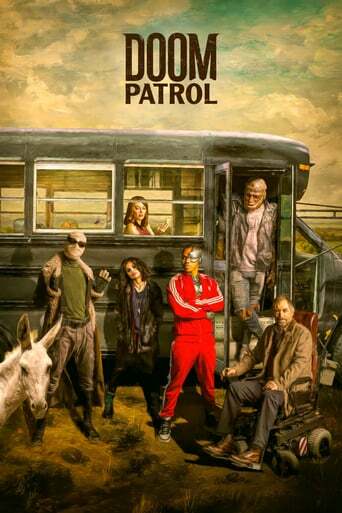 Downloading Seeding Doom.Patrol.S01E09.Jane.Patrol.1080p.DCU.WEBRip.AAC2.0.H264-NTb[rartv] from to 0 peers.